This unique and inviting 1910 colonial/antique farmhouse offers an eat-in country-style kitchen and a large living room with a beautiful garden stone fireplace. The family room has lots of windows overlooking a flat side yard. The second floor of this single-family home offers three full bathrooms a large laundry room, lots of light and extra storage for the five bedrooms. 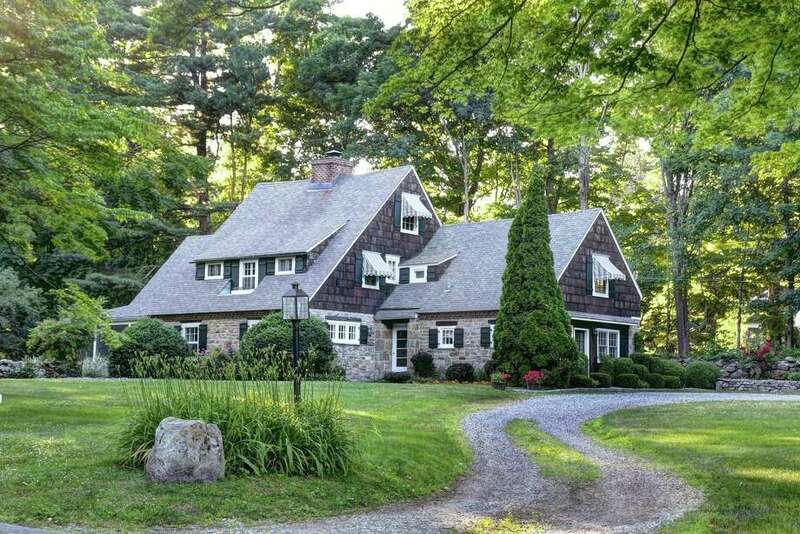 Located in the historic Silvermine section, the home offers cozy storybook charm and has stone and shingle siding and the yard has original stonewalls and beautiful manicured gardens. The interior has exposed beams in the living room, a formal dining area for celebrating holidays with family, and a walk-up attic to the third-floor office space with an extra bathroom. The home is close to Silvermine Market, the arts center and GrayBarns, a farm-to-table restaurant and inn. It’s also just a few minutes from the New Canaan and Wilton lines. It’s easy access to Interstate 95 and the Merritt Parkway.